I love making and serving bread. I love eating bread. A slice for breakfast with a scrambled egg and orange slices is a perfect way for me to start the day. A loaf of bread compliments any meal. 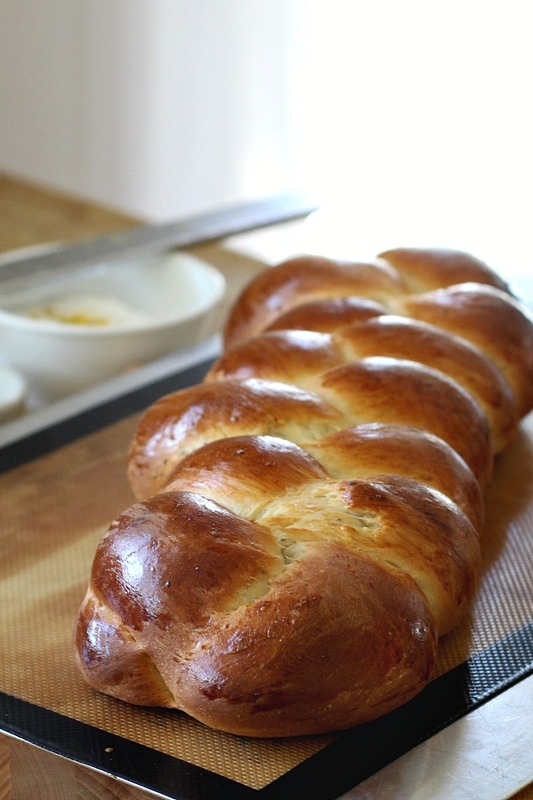 This easy recipe for a pretty loaf of braided and glazed Lemon Anise Bread is soft and full of flavor. 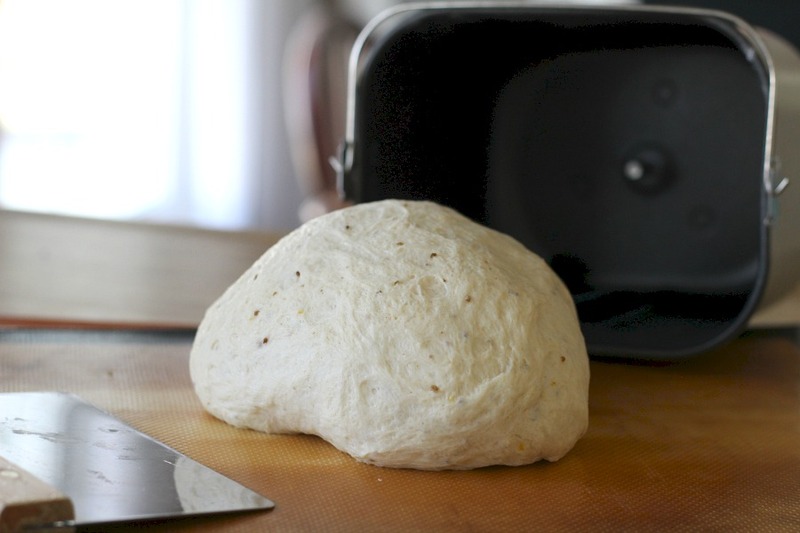 Make the dough using a bread machine or traditionally. After rising, shape, rise again and bake. 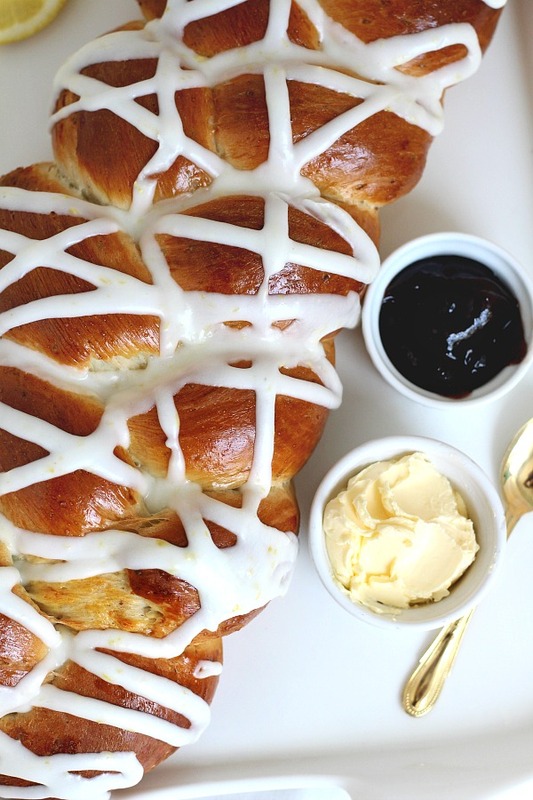 Cool, then drizzle on a light lemony glaze. Lovely with tea, Mother’s Day or for any special occasion. 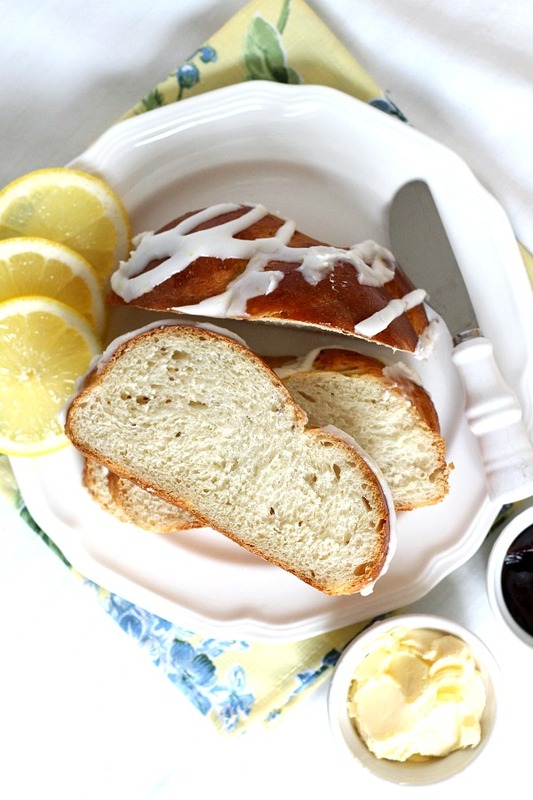 Lemon anise bread has a very soft texture and not at all over-powering with a light flavor of lemon and anise. 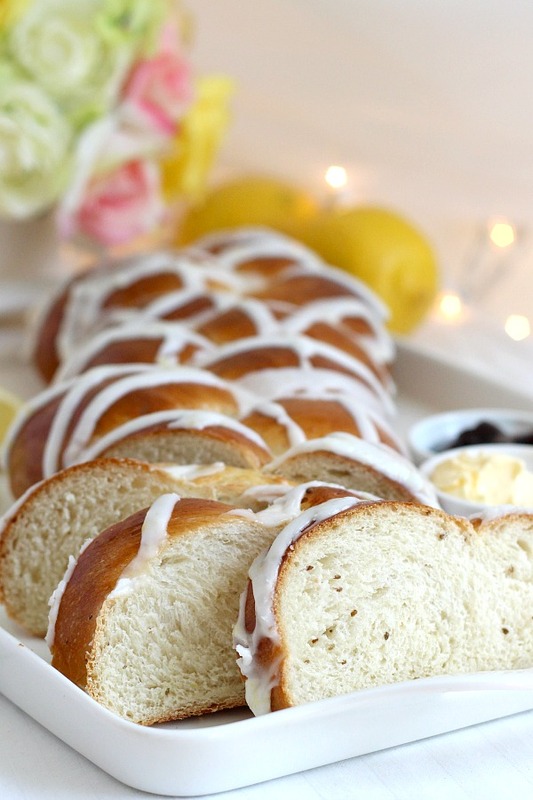 The glaze gives a pop of lemony sweetness. 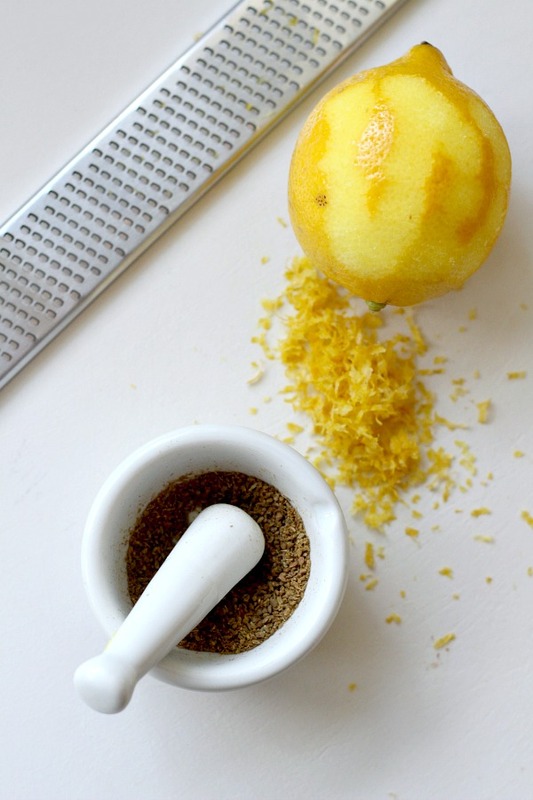 Crush the anise seeds in a mortar and pestle and zest the lemon. This is the lovely dough as it comes from the bread machine. 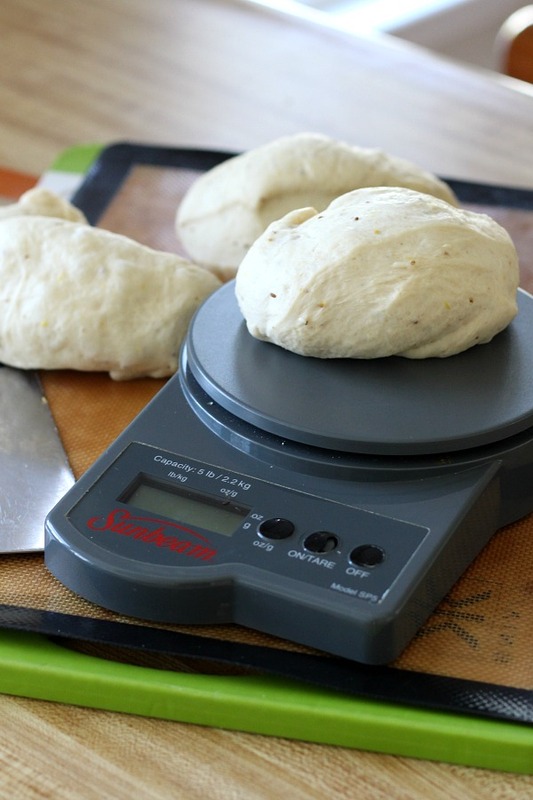 Using a kitchen scale or just eyeball it, divide the dough into three equal parts. 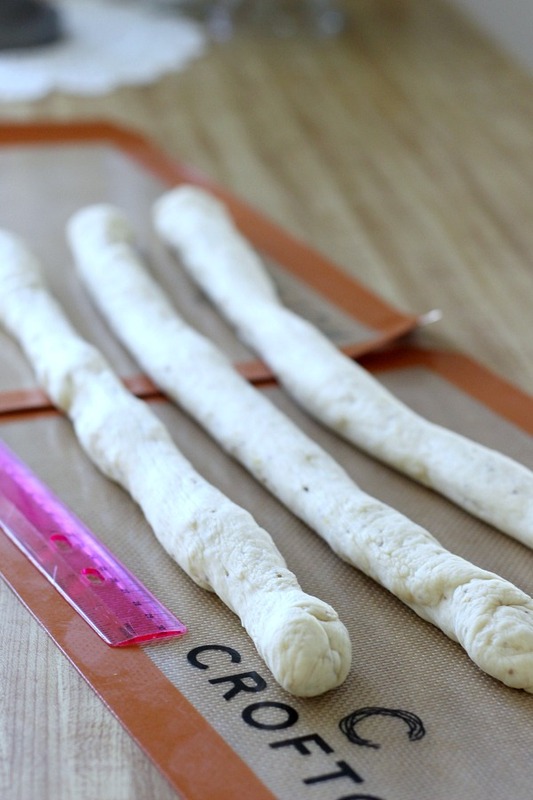 Roll each portion of dough into a 20-inch rope. Braid the ropes loosely; cover with a kitchen towel and let rise. Before baking, brush the loaf with the egg wash.
After baking, transfer the loaf to a cooling rack. Prepare the glaze; spread or drizzle on the slightly warm bread. Measure carefully, placing all ingredients (except the egg) in bread machine pan in the order listed or as recommended by the manufacturer. Select Dough/Manual cycle. Do not use delay cycles. When cycle is complete, remove dough from pan. Cover and let rest 10 minutes. Cover a large cookie sheet with a silicon mat or grease. Divide dough into thirds (I like to use a kitchen scale). Roll each section into a 20-inch rope. Braid ropes gently and loosely, starting at the middle for a more even braid. Pinch ends together tuck the ends under the braid. Place braided loaf on the cookie sheet. Cover with a clean kitchen towel and let rise in warm place 45 minutes or until double. Heat oven to 400°. 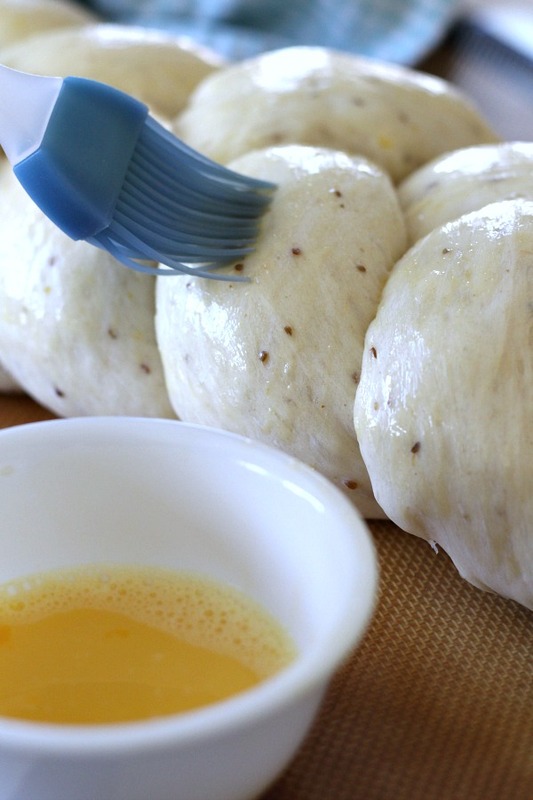 Gently brush the beaten egg wash over dough. Bake 20 to 25 minutes or until loaf is golden brown and sounds hollow when tapped. Tent with foil if browning too quickly. Remove from oven and transfer to a cooling rack. In a small bowl, stir together confectioners’ sugar, lemon juice and melted butter until smooth. Spread or drizzle on cooled loaf. 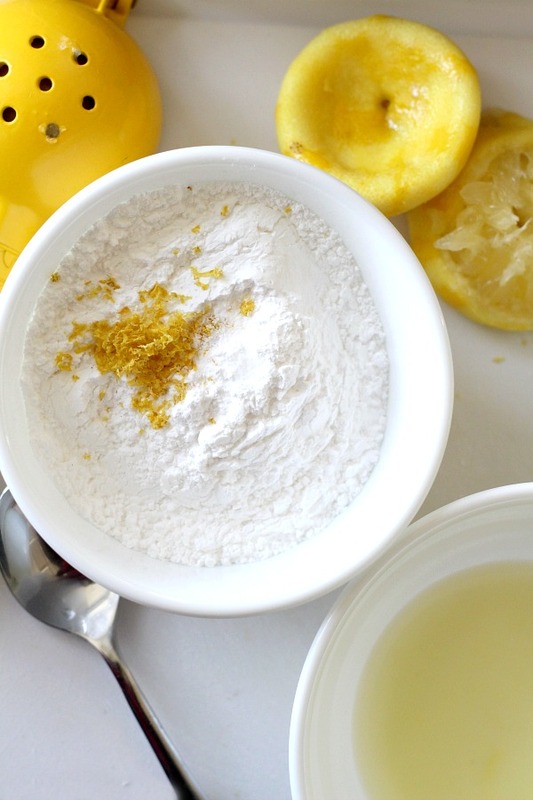 Mix 1 cup of the flour, sugar, salt, anise seed, lemon peel, butter and yeast in a large bowl. Stir in water until blended. Stir in the remaining flour until it forms a nice ball. Turn the dough out onto a floured surface and knead about 8 minutes, until smooth and elastic. Sometimes I use my oven for the rising. Turn the oven on for a minute or so, then turn it off again. I have an electric oven so I set the preheat to 350 F. for 2 minutes and then turn it off. 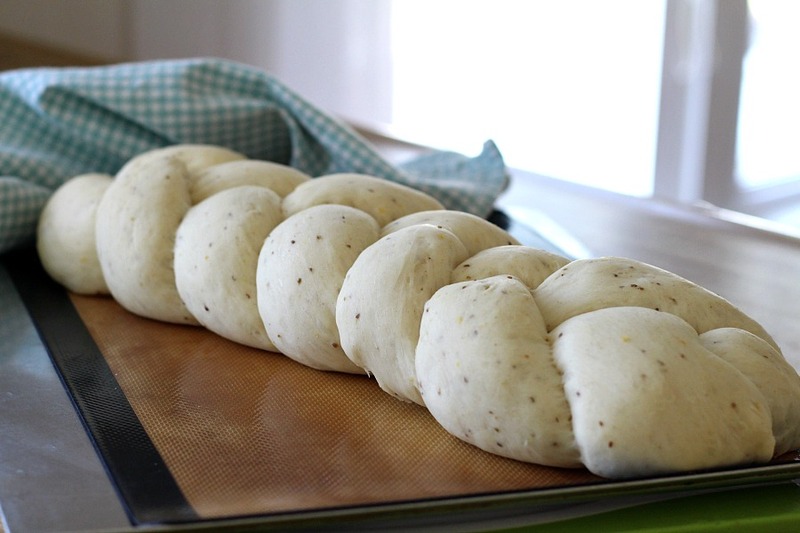 This warms the oven and makes a great environment for rising bread. Do not over heat the oven. You should be able to comfortably press your hand against the inside of the oven door. If it is too hot, let it stand open to cool a bit. 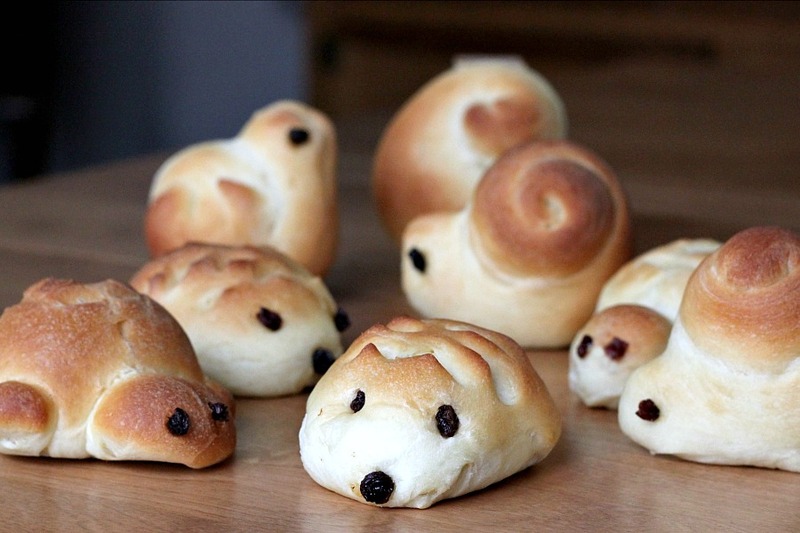 Hedgehogs, Turtles and Snails, Oh My! aww… thank’s, Lynn, for your sweet comment! It means a lot coming from someone who is always sharing awesome food and crafts!